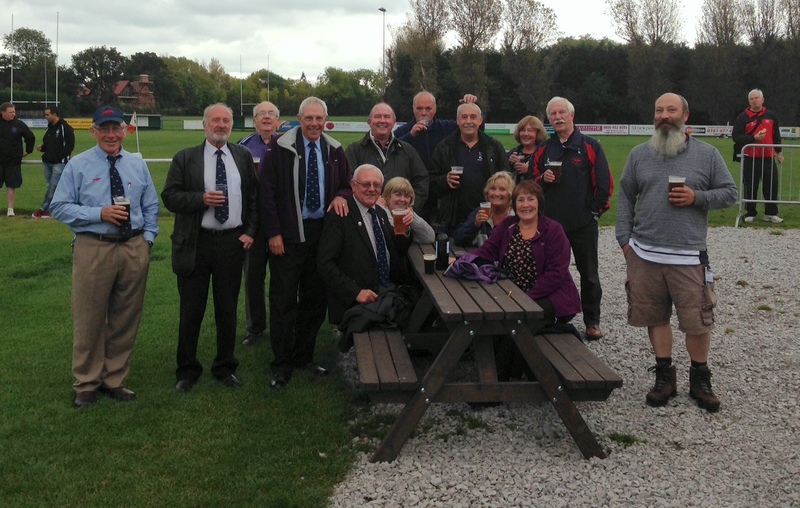 The ‘1869 Club’ is the official Supporters Club of PGRFC. We were founded by a group of Hoppers supporters on 26th Aug 1987. The purpose of the 1869 Club is to support Hoppers in any way possible. Our main activities are raising funds for various projects within Hoppers and encouraging vocal support on the touchline both home and away. We also try to provide volunteers when asked by the Hoppers Managment. Membership is open to all Hoppers Supporters. The annual membership fee is £10 minimum, up to whatever you would like to pay! It ALL goes to SUPPORTING HOPPERS! If you would like to join us contact Les Harrison (Secretary) via email dawn.lh@btinternet.comvor 07910150780 with your details. The ‘1869’ Club run coaches to as many 1st team away matches as possible. Last year we ran coaches to 8 games, and we hoping to improve on that this season. More information on which games we’ll be travelling to next season will be available soon.